Paul brings almost three decades of entrepreneurial expertise to his current position as the Founder and Chief Executive Officer of Peak Financial Inc. He has earned national industry-wide praise for his accomplishments in the financial services field. An authority in the provision of financial and group retirement solutions for small and large businesses. Paul also specializes in individual retirement planning, benefits, and stock brokerage accounts. Dedicated Coach and Leader, Paul assists in weekly training and recruitment. Ken brings over twenty year of experience in operational management, since joining Peak Financial in 2011. 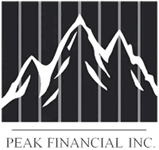 Prior to joining Peak Financial, Ken was Regional Manager for a private wealth management firm for 12 years. Prior to that he oversaw the regional operations of a top Fortune 500 Company. He has earned national industry-wide praise for his continued accomplishments in the financial services field; a specialist in investment strategies, retirement planning, estate planning issues, and risk management. As a longtime member of the Rancho Cucamonga Chamber of Commerce, he is actively involved in the community. He has been a speaker and workshop coordinator for many professional and industry groups. Ken continues to serve the business community and focuses his efforts on developing creative financial strategies for, estate planning, business succession, and executive compensation. Robin Gattoni has over 15 years experience in the Financial Services industry. Prior to her position as Operations Manager at Peak Financial, Robin gained a majority of her financial knowledge and skills while holding the position of Operations Manager for ALM Advisors, an investment firm where she implemented systems for Senior & Assistant Portfolio managers on daily Stock & Bond trading, facilitating daily trading issues with brokers and custodians, monthly market research, daily pricing of client portfolios, and reconciliation of client accounts.